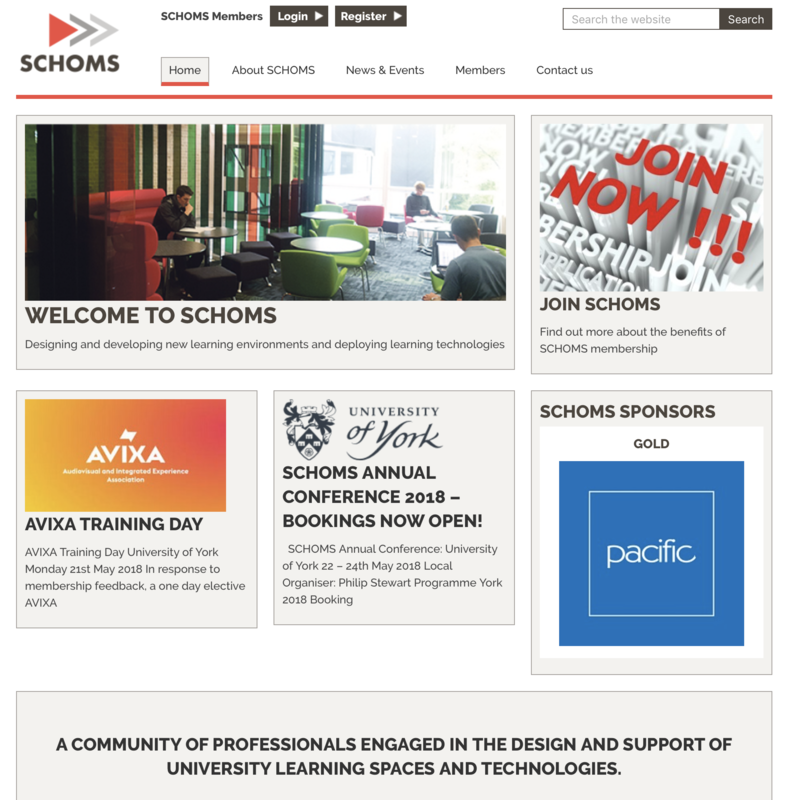 SCHOMS is the professional body for Senior Managers working within UK Higher Education and its members lead and manage a diverse set of educational, technological, media and institutional development and support services. They give strategic direction to support technological trends and promote excellence in teaching and learning practices and their environments. They bring an experienced community together who evaluate emerging technologies, collaborate on pedagogic direction and innovative design of teaching spaces so appropriate classroom technologies, AV equipment, room designs and support services can meet the current and future demands of Higher Education.